Exceptional customer service is no accident! Great service providers know what to do, teach their employees how to do it, and then consistently deliver first-class service. 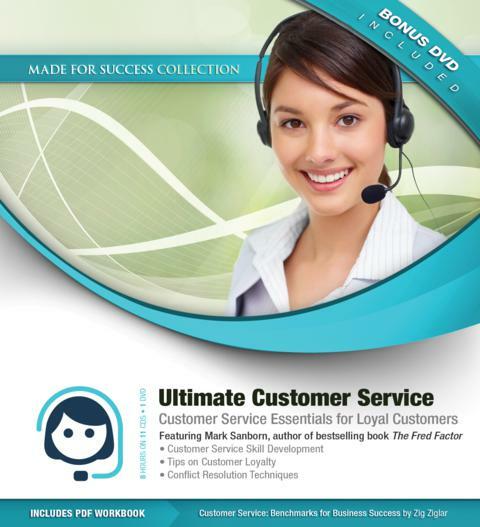 Now, you can get the world’s top customer service authors to coach you and your team into excellence. Bring the exceptional customer service of Starbucks, Nordstrom’s, or the Ritz Carlton into your organization with training from the best of the best in customer service training and development. You’ll learn the latest customer engagement strategies from celebrity authors Shep Hyken (The Cult of the Customer) and Mark Sanborn (The Fred Factor), whose strategies and techniques will create positive relationships and long term loyalty with your customers. You’ll also learn how your word choice can impact the future buying behavior of even your most loyal customers. The experts in this series teach you how to avoid common pitfalls and offer seven secrets of remarkable communication that produce outstanding results. A satisfied customer is the number one asset for any businesses, and now you can get the leading thought leaders and practitioners to train your team for the same price as a business lunch.